MANCHESTER, New Hampshire (CNN) -- Ten Republicans who want to be president will take the stage Tuesday night for their first debate in New Hampshire, hoping to make an impression on the voters who will cast ballots in the nation's first primary early next year. The debate, sponsored by CNN, the New Hampshire Union Leader and WMUR-TV, will begin at 7 p.m. ET in Sullivan Arena on the campus of Saint Anselm College. Democratic candidates mounted the same stage for their first Granite State debate on Sunday. Former Sen. Fred Thompson is already raising money and is said by advisers to be all but certain to formally join the race in early July. "[It's] what we might call the 'Mighty Mouse' candidacy," former Arkansas Gov. Mike Huckabee said Monday while campaigning in Concord, New Hampshire's capital city. "You know: 'Here I come to save the day.' And in the end voters are not necessarily looking for Mighty Mouse to fly in -- they are looking for somebody who stands their ground and goes the distance." State Republican Party Chairman Fergus Cullen says Thompson is certainly welcome to the race, but he plays down the idea that GOP voters are not happy with the existing field of candidates. "I think it is insulting to the existing candidates," he said of such talk. "In other words I think it happens every cycle. ... I bet at this time in 1979, Republicans were gathering saying, 'You know this Ronald Reagan fella has been around the track before -- I think his time has passed.' "
During Sunday's debate, the Democratic presidential candidates tried to outdo each other in heaping opprobrium on President Bush and the Iraq war. Republican candidates will face a trickier task in trying to put some light between themselves and an increasingly unpopular president without alienating their base. "I think the biggest problem this field is having -- everybody in the field -- is deciding how much latitude you have in describing your vision of where the country will be four years from now or eight years from now if you're president," said Tom Rath, an adviser to former Massachusetts Gov. Mitt Romney. "There is a Republican president who is still quite popular in the base here." While critical of the management of the war in Iraq, most of the GOP candidates support the recent troop increase and say the United States cannot leave Iraq until there is a more stable political and security environment. Clearer differences exist on taxes and spending, immigration and other issues. University of New Hampshire survey director Andrew Smith says he believes the stakes are highest for the long-shot candidates who have to worry about paying the bills as much as winning votes. "They have to be able to demonstrate to people who are willing to give them money that they are serious candidates and they will be credible candidates at the end of this campaign," Smith said Monday. The debate field will be rounded out by former New York Mayor Rudy Giuliani, the front-runner in most polls; Sen. Sam Brownback of Kansas; Reps. Ron Paul of Texas and Duncan Hunter of California; and former governors Jim Gilmore of Virginia, and Tommy Thompson of Wisconsin. CNN's John King contributed to this report. 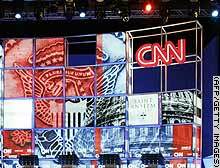 The debate, sponsored by CNN, the New Hampshire Union Leader and WMUR-TV, will begin at 7 p.m. ET.